All in one Loyalty Reward Points solution. 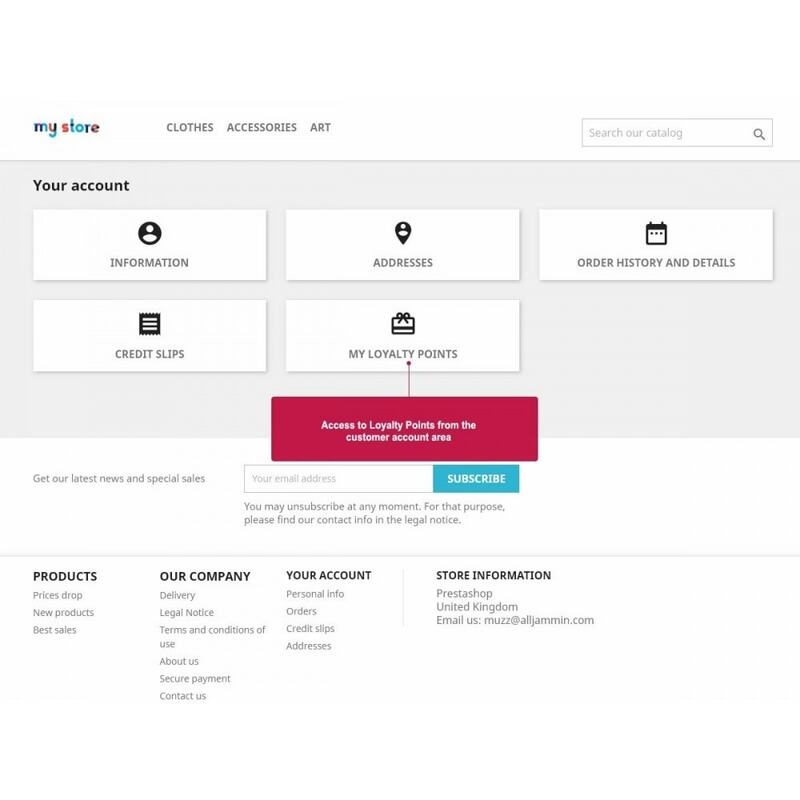 Fits in seamlessly with checkout and does not require vouchers to be generated for points to be redeemed. Includes referral reward scheme and many other great features. 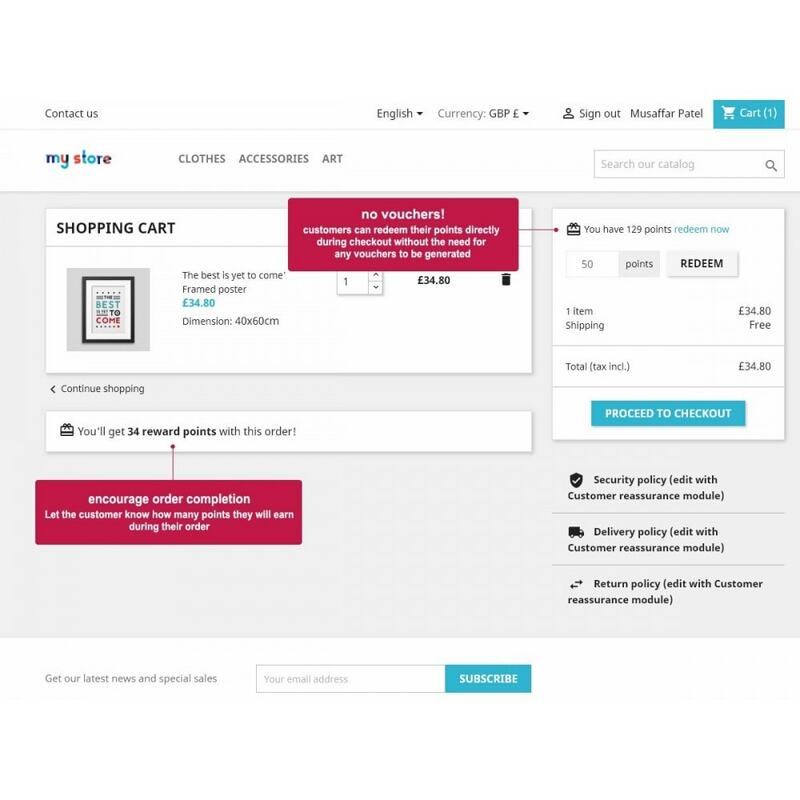 Improve conversion rates by offering customer loyalty points, visible on product pages and during checkout to encourage customers to complete their purchases. Increase customer retention and reorders by allowing customers to build up points which they can redeem against future orders. 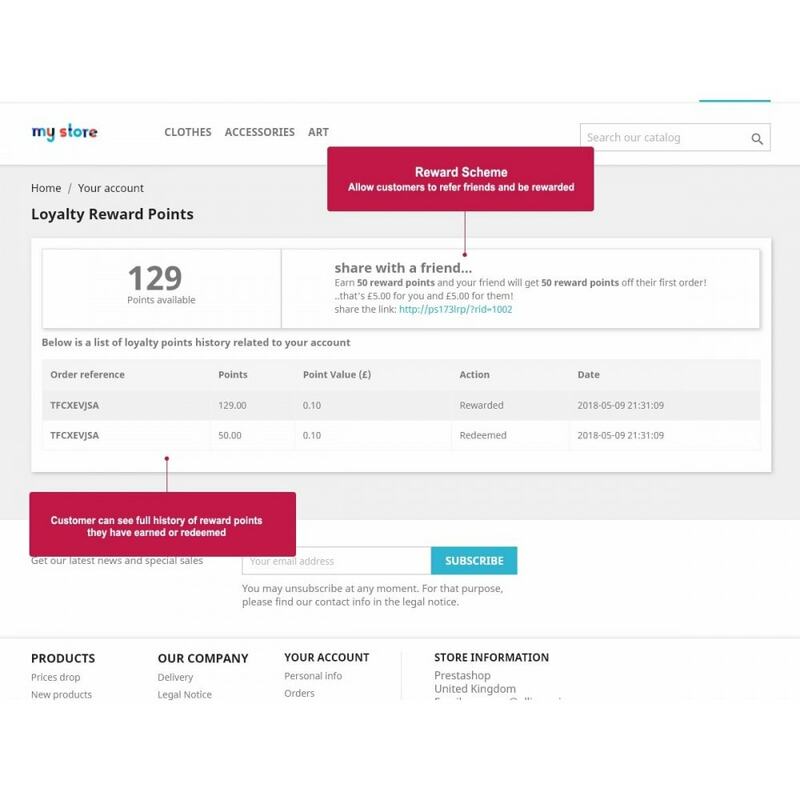 Increase customer referrals by allowing customers to share unique links which allow the customer and friend to share reward points when a referral takes place. 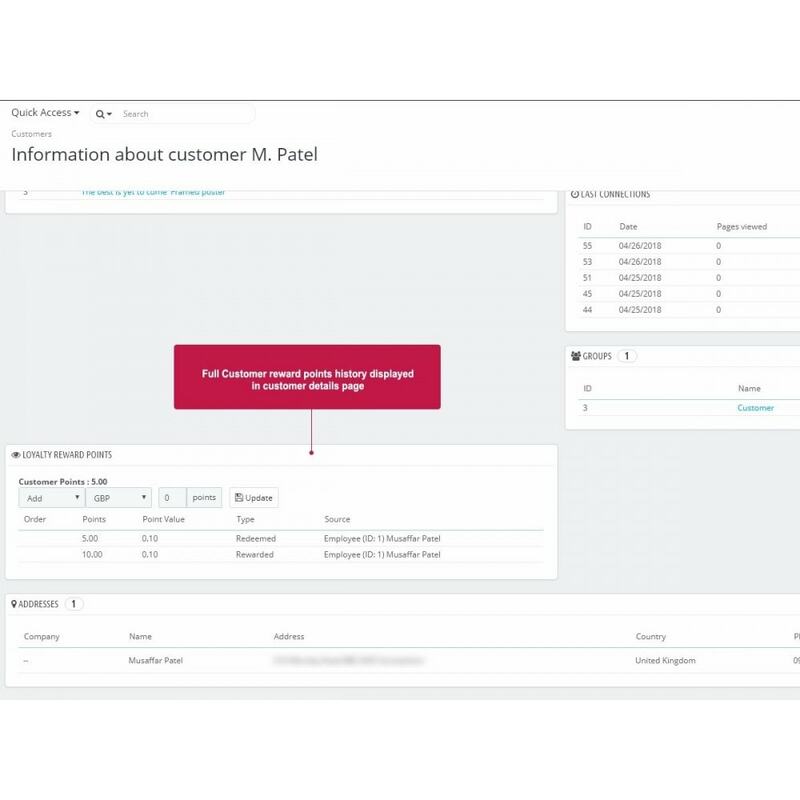 Resolve any customer complaints with a gesture of adding more points to a customer account directly in the back office. Create Loyalty Point Promotion Rules by offering more points for specific products or category of products. Referral scheme allows customer to earn X amount of points wen they refer a friend. Furthermore, allow the friend to earn points to use against their first order to encourage the referral to take place! Define a minimum cart value which must be met before loyalty points can be redeemed. 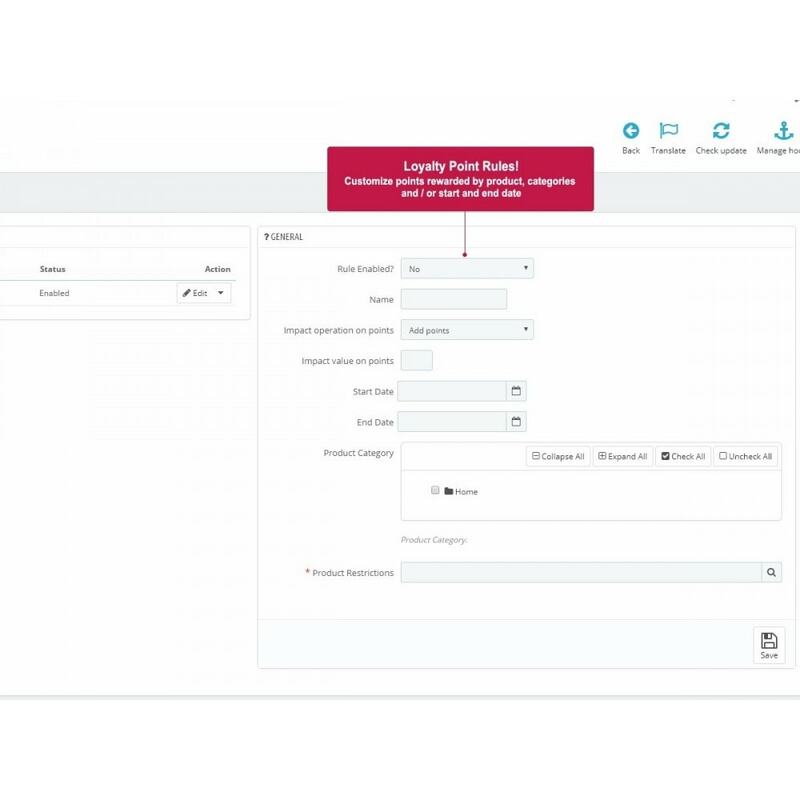 Customize reward and referral scheme individually for each currency in your store. Create Point promotion rules, increasing the number of points being awarded for specific products or category of products and specify a start and end date for these promotions. View detailed points transaction history for each customer in the back office with the ability to manage customer points with ease. Easy to install, no core changes required. 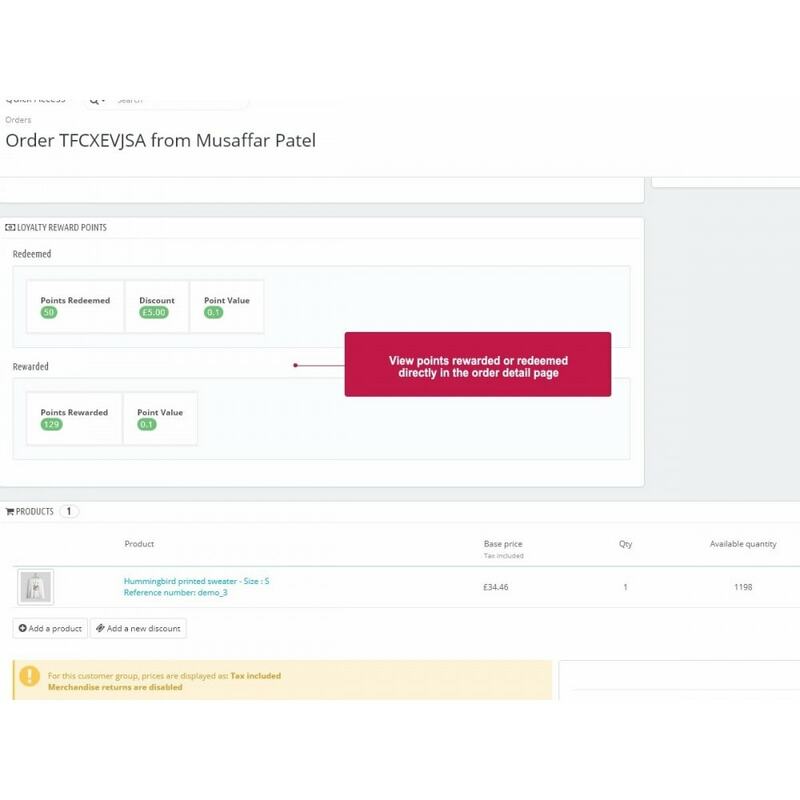 Facebook Messenger, WhatsApp, Tawk.to, Skype, Call Me Back, Viber, Twilio, Intercom, Zendesk help desk chat, Telegram, Crisp, VK chat, Slack, Email, Smartsupp, LiveChat, Live helper, Zalo, contact page, email - all in one module! Customers can build up points the more they shop in your store allowing them to redeem points hich will translate into a discount for their orders in the future. Additional referrals allow customers and friend to earn even more reward points, effectively sharing a discount between friends for successful referrals. Please refer to the documentation included with the module for full instructions on installing the module.